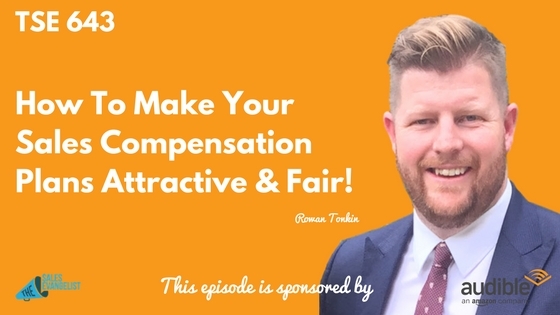 TSE 643: How To Make Your Sales Compensation Plans Attractive & Fair! Home » TSE Podcast Post Page » TSE 643: How To Make Your Sales Compensation Plans Attractive & Fair! Connect with Rowan on Twitter @RowanTonkin or on LinkedIn. Join the TSE Hustler’s League. We’re having two tracks this semester – Track 1 is focused on value and close rates. Track 2 is focused on business growth and development. Our semester begins on September 28, 2017.